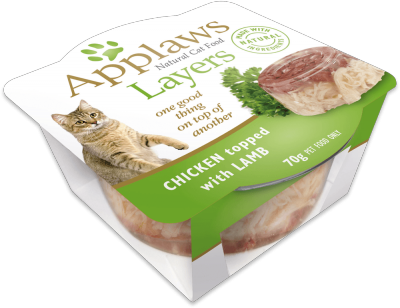 Applaws is best for your dog…naturally! 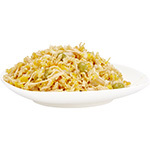 The best diet for dogs is one that contains high levels of animal protein. Although dogs are very adaptable – we know they will try and eat almost anything – they are carnivores and their physiology supports this. 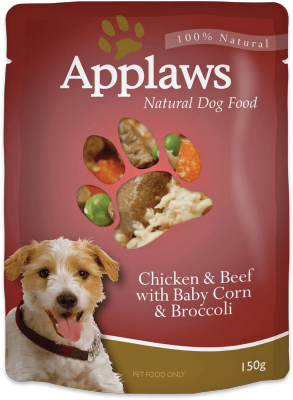 From the shape of their teeth and movement of their jaw to the length and function of their digestive process; at Applaws we believe that the best diet for dogs is one that contains high levels of meat or animal protein. It’s really hard to think of our dogs as having descended from wolves! To us they are one of the family, to be cherished and loved. But, dogs are “designed” to eat meat. Compared to a human, a dog has a much shorter digestive tract (20 – 80 cm compared to 1.5m). This means that they can’t get the energy they need (metabolise) as efficiently from cereals and carbohydrates in the same way as you do. It’s really hard to think of our dogs as having descended from wolves! To us they are one of the family, to be cherished and loved. But, dogs are "designed" to eat meat. That’s because, in the wild, your dog would eat what is sometimes called “whole prey” diet. Although it may not make pleasant reading, your dog would eat almost every part of the animal and so it’s important that his domesticated diet reflects this as much as possible. Amino acids are building blocks of protein. There are 10 essential amino acids that dogs need to consume in food. 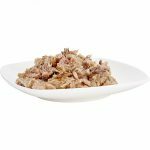 These include…arginine, histidine, isoleucine, leucine, lysine, methionine, phenylalanine, threonine, tryptophan and valine. What’s more, dogs can’t chew their food like humans do. Your dog’s jaws can’t move from side to side, so chewing is impossible. His jaw is like a hinge, it only moves in one direction up and down –why is this important? When humans chew, we produce enzymes in our saliva that start to break down the carbohydrates in our food form the very first bite. Dogs simply do not have these enzymes so carbohydrates can stick to his teeth leading to tarter build up which can lead to dental problems. Not only are cereals and grains like wheat, sorghum, barley, rice and corn harder for dogs to metabolise but grains and cereals also contain high levels of carbohydrate. These higher levels of carbohydrate can produce surges in blood sugar making it more difficult for dogs to maintain healthy levels of weight and or body fat. This could stress the liver and kidneys and can lead to the development of sensitivities and allergies. 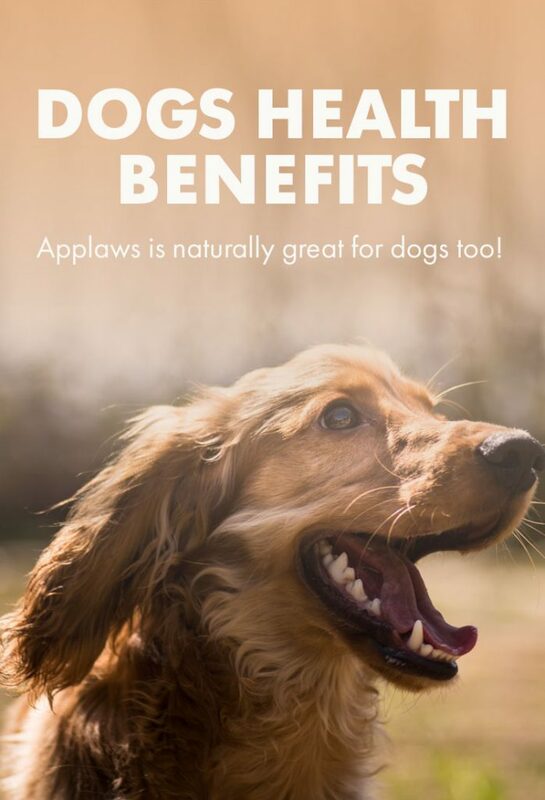 How can Applaws support my dogs health?